Web Marketing for the Music Business - So you spent a lot of time designing your web site and now you want to know what the next step is, right? Hutchison, a respected and successful professor and market researcher, not only shows you how to increase your web traffic but how to use the Internet to promote both artist and site. Online resources help to get you up and running marketing music online. 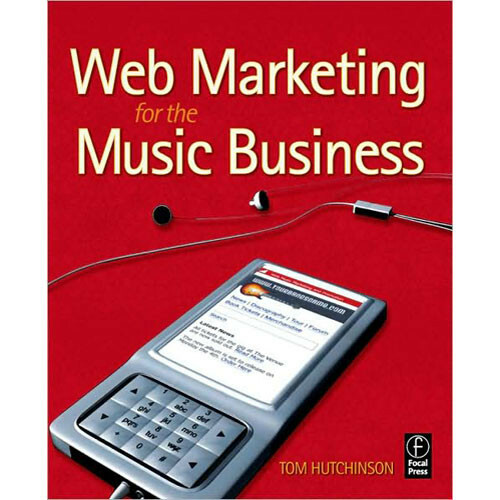 About the Author: Tom Hutchison, Prof. of Marketing, Department of Recording Industry at MTSU, USA. He has worked with a wide range of popular artists including Faith Hill, The Dixie Chicks, Sonic Youth and Beck. Tom has conducted market research projects for Sony, RCA, MCA/Universal, Geffen Records, DreamWorks and Warner Music Group.